Our Automated courses offer the best option for students looking for an enriching educational experience, and who are more inclined to self-paced study. UPEACE introduces this well-structured, self-study opportunity for students interested in obtaining a Certificate, through fully Automated Courses. This is a self-directed learning option that has been specifically designed for mature students interested in acquiring knowledge, while having full control of when they do it, what they focus on, and how much time they spend on learning. All in all, it gives students freedom of process, to carry out their learning objectives. These courses present the perfect opportunity for individuals who are interested in immersing themselves in the important fields of Human Rights, Peacekeeping and Multicultural Awareness, but don't have time to commit to a more demanding, professor-directed course. Each one of these courses includes stimulating concepts, theories and activities pertaining to Peace and Conflict Studies, creating a fascinating learning environment. 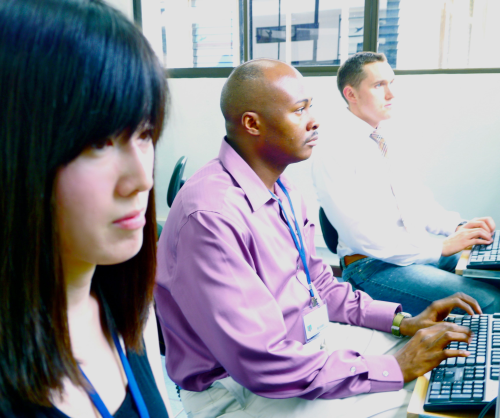 The courses use an asynchronic methodology and, unlike UPEACE's other online courses, students set their own deadlines for completing the course. After successfully enrolling in the course, students will have access to approximately 15 lessons of study material, and they decide when to take the final multiple choice test. Upon successful completion, student will be awarded their certification. The Automated Courses are solely for training. The cost for each course US$50, by credit card payment only.